Porvair Sciences offers a range of application optimised microplates and high-performance microplate equipment designed to enable drug discovery scientists to optimise sample preparation and improve productivity. For laboratories looking to remove the traditional drug discovery 'bottleneck' of solvent evaporation the Mistral nitrogen blowdown evaporator provides easy integration with many commercially available laboratory liquid handling robots. 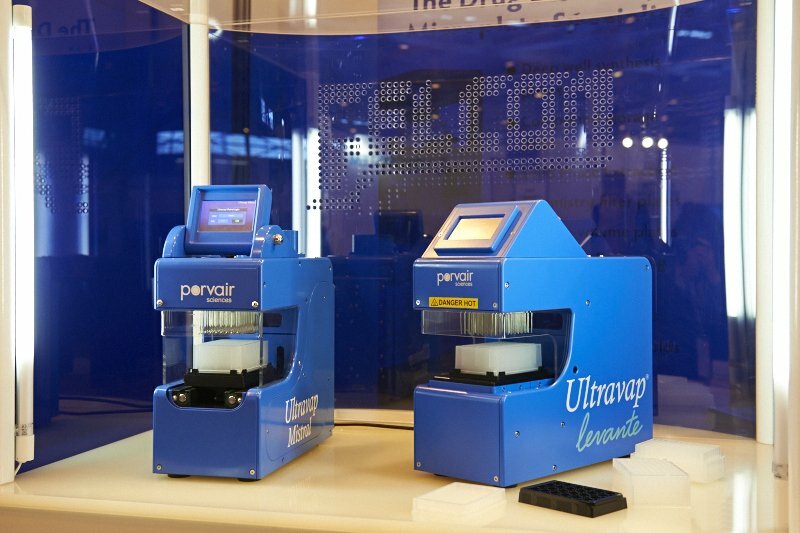 This automation-friendly system offers the versatility to be able to productively remove solvent from a wide range of sample formats including 24 to 384-well format deep and shallow well plates, vials and test tubes up to 50mm high. Designed to be easily assembled and disassembled by robotic manipulators the Universal Robotic Manifold enables productive automation of SPE or DNA clean-up procedures. Able to accommodate collection plates from 14mm-44mm in height and adaptable to work with three different lengths of drip director the Universal Robotic Manifold offers the capability of being able to operate with all brands of filter plate and waste collection reservoir tray. The MiniSeal II semi-automated microplate sealer has been designed to operate with a very high force, this together with a powerful heater ensures high integrity sealing of almost any deep well, shallow well, low profile deep well, filter and assay plates that conform to the ANSI / SLAS standard format. Sealed plates are automatically ejected from the MiniSeal II. The compact footprint, about the size of a sheet of A4 paper, means that MiniSeal II will fit just about anywhere - on a user’s lab bench or inside a fumehood if required. As part of its comprehensive range of specialist microplates, Porvair Sciences offers a wide selection of high performance assay, deep-well, SPE, protein precipitation, filtration and supported liquid extraction plates for drug discovery applications.